Given what’s at stake, many major competitors are jockeying for a position. It includes corporations like Kroger, Walmart and, Ahold Delhaize, as well as new kids on the block such as Amazon. How this all shakes out may depend on the initial strategies each company chooses to adopt. According to research released earlier in the year by Food Marketing Institute (FMI) and Nielsen, almost half of Americans now buy groceries online. The surveys they conducted illustrated that 49% of US consumers acquired consumer packaged goods (CPGs) online during a three month period. Not surprisingly, the percentage among millennials, was even higher, at 61 percent, and among Gen Xers, 55 percent. The numbers are expected to grow rapidly with the organizations forecasting that 70% of US shoppers could be buying groceries online by as early as 2022. Ordering your groceries online is not actually new. In fact, Peapod grocery service was founded in 1989, which is nearly 30 years ago. Peapod grocery services have since outlasted all other competitors during this time. The company now boasts over 35 million deliveries of grocery orders, and it continues to expand. Chicago-based Peapod grocery services are affiliated with several grocers throughout the eastern and midwestern regions of the country. 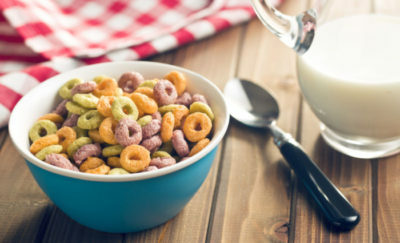 These include major grocers like Giant Foods, Stop & Shop, Hannaford, and Food Lion. 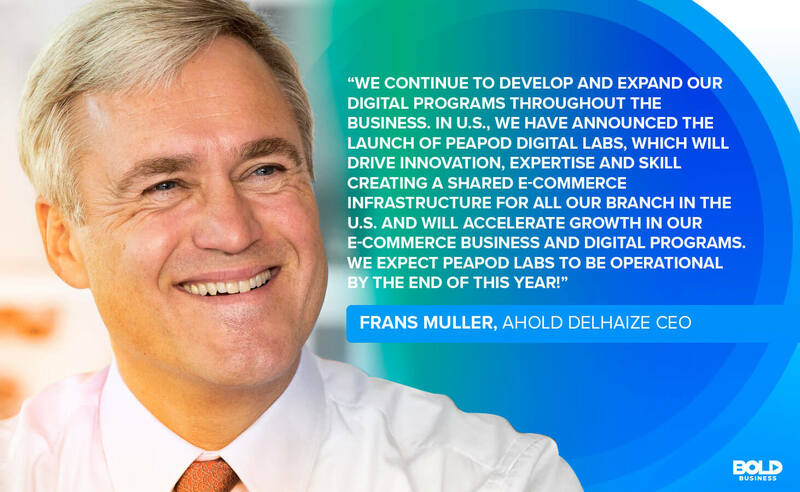 With the merger of Ahold Delhaize a few years back, Peapod grocery services represent this conglomerate’s primary e-commerce arm. The e-commerce grocery sector has been highly dynamic for some time. For example, Peapod grocery services operate several models at once. Peapod also has warerooms in addition to distribution warehouses for the preparation of grocery orders outgoing delivery. Unlike warehouses which are free-standing, warerooms are connected to brick-and-mortar grocery stores. Warerooms not only facilitate local delivery but they also provide in-store pickup options for customers. Walmart, the number one grocery retailer, has a similar model. In fact, Walmart’s stores provide grocery delivery or pickup options to 40 percent of its market (100 metro areas). Kroger, the number two grocery retailer, also offers online delivery services through Kroger Ship. Most recently, Amazon Fresh entered the online grocery retail market. After Amazon purchased Whole Foods in 2017, it now owns eight percent of the retail grocery market. Amazon has plans to have 3,000 cashier-less stores by 2021, and clear competition in this area is advancing. 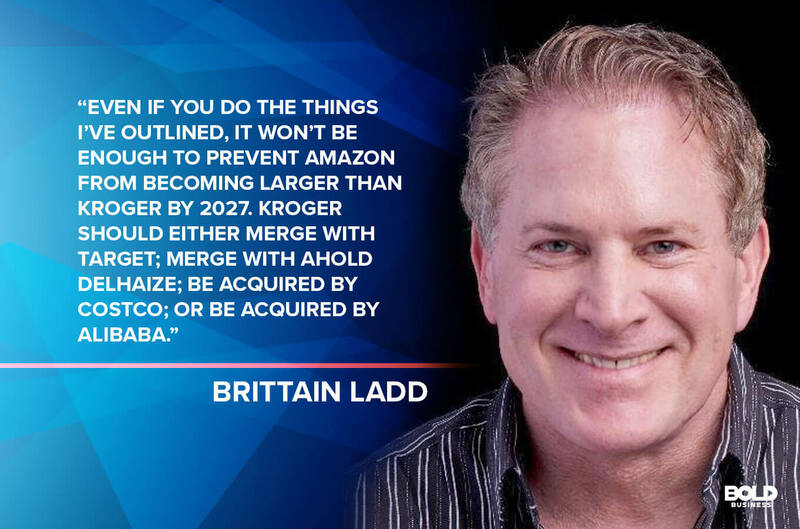 Amazon is sure to bring about large changes including the acquisition rumors concerning Kroger — One option being a union with Ahold Delhaize. In 2016, Netherlands-based Ahold and Belgium-based Delhaize merged and effectively became one of the world’s largest grocery retailers. Ahold Delhaize combined several brands under one roof including Giant Foods, Food Lion and Stop & Shop. Likewise, Peapod grocery services were included in this merger. This provides them with not only eCommerce capabilities but also home delivery to compete against Instacart, Shipt, Amazon Go and Google Express. Today, Ahold Delhaize serves over 50 million customers worldwide through its 6,500 stores. Moreover, this doesn’t include its chains of convenience stores and e-commerce services. For Ahold Delhaize, the inclusion of Peapod grocery services in its arsenal is noteworthy. When Peapod grocery services began, several competitors entered the market. However, through the years, Peapod grocery services were the only ones to persevere. Though consumer preferences played a big role, Peapod grocery services learned many valuable lessons along the way. For one, Peapod grocery services developed streamlined distribution and logistic models. And secondly, Peapod grocery services learned how to connect with customers through drivers who were brand ambassadors. These insights have served Ahold Delhaize well when one considers the future of e-commerce grocery. Some have criticized Ahold Delhaize for being too slow and cautious in its approach to grocery e-commerce. 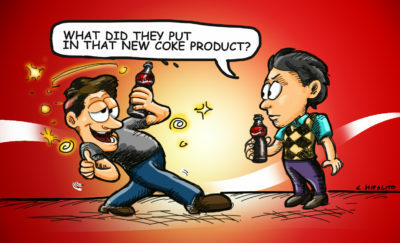 However, this gradual approach has been a warrant, given the change in the buying patterns of consumers. 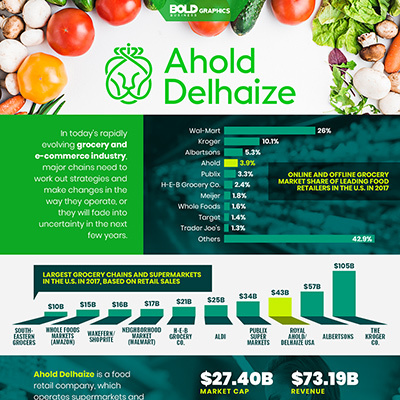 Ahold Delhaize is in a good position to compete, especially with trends in e-commerce beginning to change more rapidly in this sector today. While online grocery orders, deliveries, and pickups are critical for grocery retail of the future, other areas are similarly noteworthy. One of these areas involves “tap-to-go” technology that Amazon will be employing in its cashier-less stores. Items can simply be scanned using an app with direct debits from consumer accounts for payment. They are also experimenting with robots in the stores to take on janitorial tasks. There is no doubt that this level of convenience and efficiency will become the norm in the near future. For Ahold Delhaize, the company already has such services in place in other countries. For example, in its convenience stores in the Netherlands, near-field communication technologies allow the same tap-to-go conveniences. These same technologies also provide Google Assistant, chatbots with recipes, and blockchain traceability. Experts anticipate these same e-commerce conveniences will be available at Giant Foods and other U.S. Ahold Delhaize stores soon. There must be innovative strategies now with Amazon Fresh and Amazon Go seeking to expand its presence in the retail grocery sector. Likewise, Walmart, Kroger, and other retailers are rapidly shifting gears in anticipation of a growing online consumer market. However, Ahold Delhaize is already ahead of the game. In fact, in 2017 online customer sales grew by double digits for Ahold Delhaize to €2.8 billion. From Peapod grocery services to new in-store technologies, Ahold Delhaize is already leveraging experience, innovation and customer loyalty to success.